We have a team of experienced Sports Physicians that are highly skilled in treating the entire body. Our approach is simple. We believe that health is amongst our most valuable possessions. And while we generally meet people after they’ve lost their health, our commitment is two-fold. We started our first practice in 2011 with one aim in mind–to help patients get out of pain and back to doing what they love. 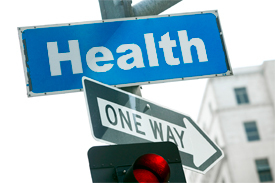 We’re committed to teaching our patients that true health is a journey, not a destination. Through educational opportunities (like this website), we hope to communicate the value of ongoing care. Our desire is to see our practice members abandon the prevailing sickness care model of health (waiting for symptoms and then taking action). We want to help you perform your best day-in and day-out. Let’s face it–no one wants to sit on the sidelines! Regardless of your health goals, please understand that we see ourselves as mere servants. You’re the boss! It’s your body, your health and your future. Our job is to offer you the finest sports injury treatment and rehabilitative care possible in Spartanburg, make appropriate recommendations and work together to achieve your goals.